Can the Hokies take advantage of a weak Arkansas defense to capture its first 10-win season since 2011? Whether completely deserved or not, the SEC has earned an aura of superiority over the last decade. Even though that perception was built on a long string of national championships from several elite teams, the respect extends throughout the conference. So while Arkansas may not be competing to win the SEC West most years, they can still be seen as a powerful squad and the SEC faithful would tell you its middling 7-5 record is just a result of the "SEC grind". In short, beating Arkansas would be a pretty great cap to a pretty great season, and would be one more proclamation to the country that Virginia Tech is back. In case ten wins wouldn't send that message clearly enough. 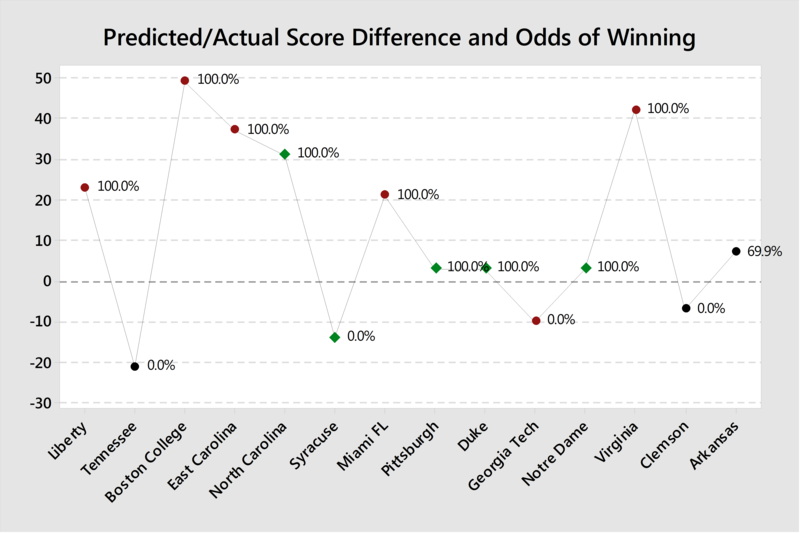 Virginia Tech has clearly been the stronger team this season, and virtually every computer predicts a Hokies victory. The odds of a 7-point favorite winning are 69.9%. While the offenses have similar overall ratings, the difference in overall team strength is clearly due to Bud Foster having the superior unit. 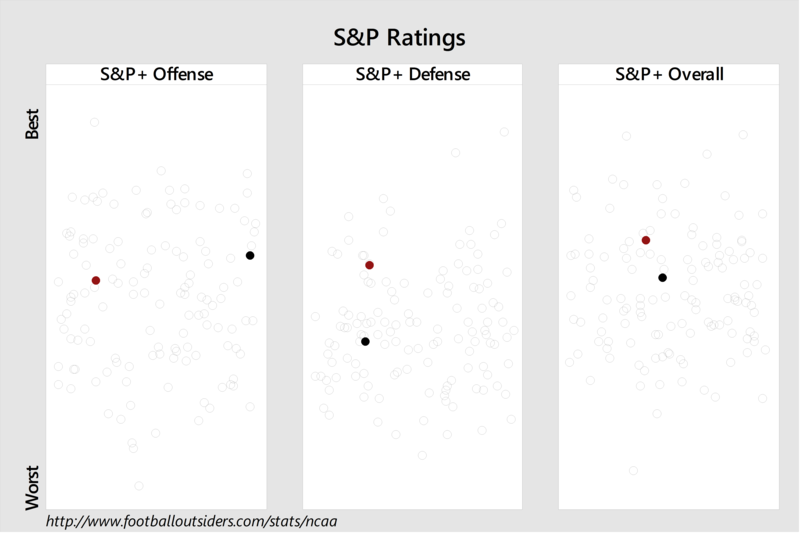 Here is an explanation of S&P+ ratings, and FEI ratings. 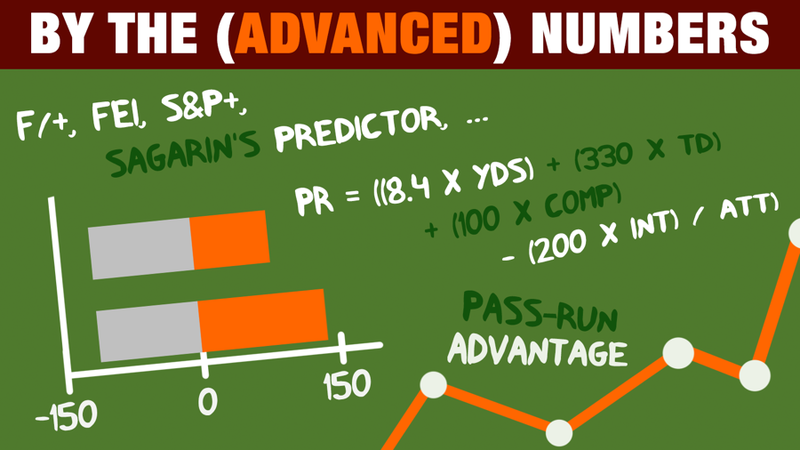 All statistics are now opponent-adjusted. 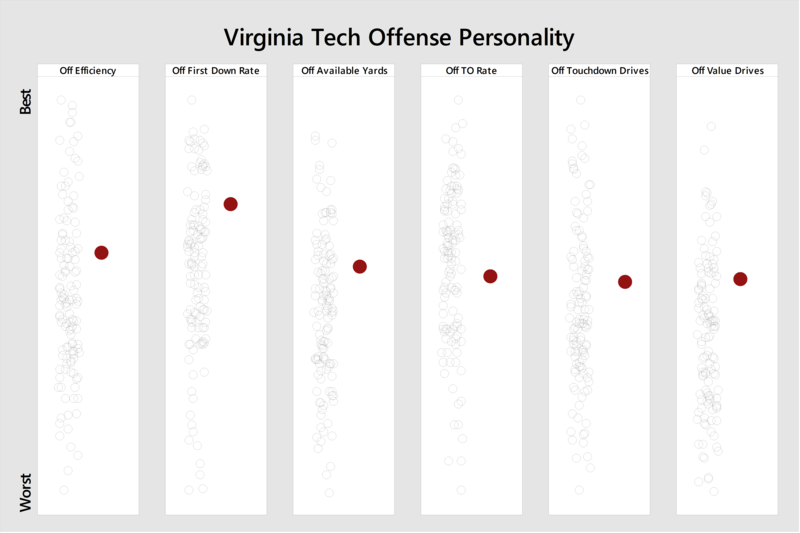 Who has the advantage in the passing and rushing game when the Tech offense has the ball? The Razorbacks' rush defense may be setup to give Sam Rogers one last great memory playing in maroon and orange. 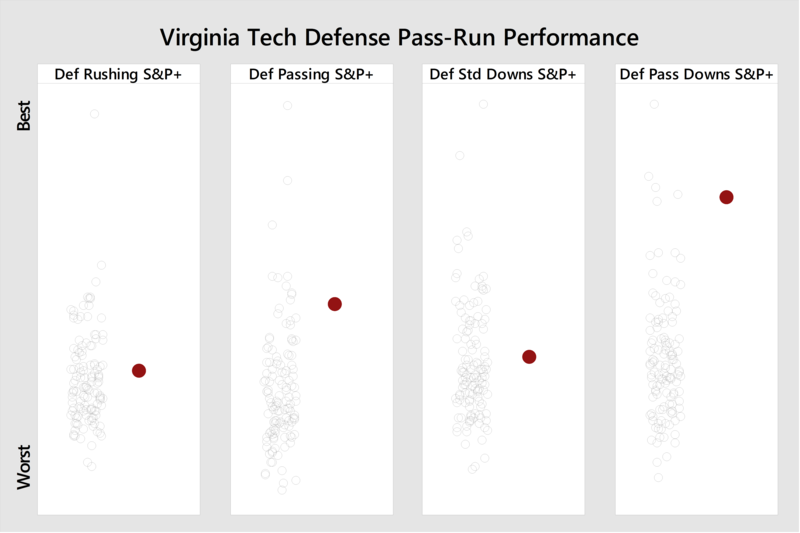 Additionally, the Hokies have an enormous advantage on passing downs and should be able to dig out of holes regularly. 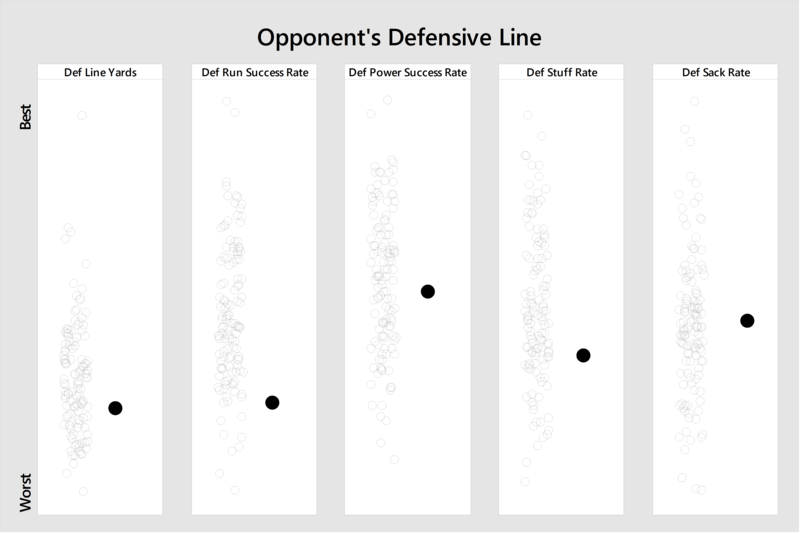 The Hokies are an efficient offense that avoids three-and-outs, and face an Arkansas defense that is...not particularly good at anything. 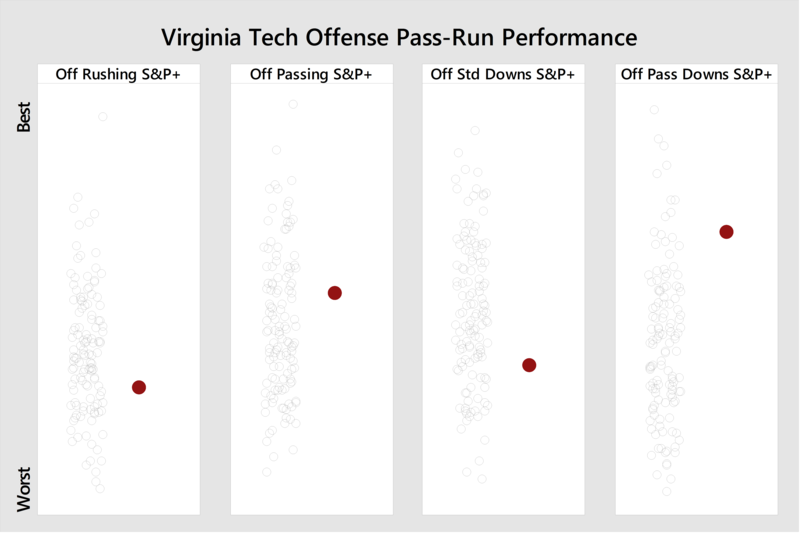 The Razorbacks are a favorable matchup for the Hokies, with their strengths feeding right into Tech's strengths. 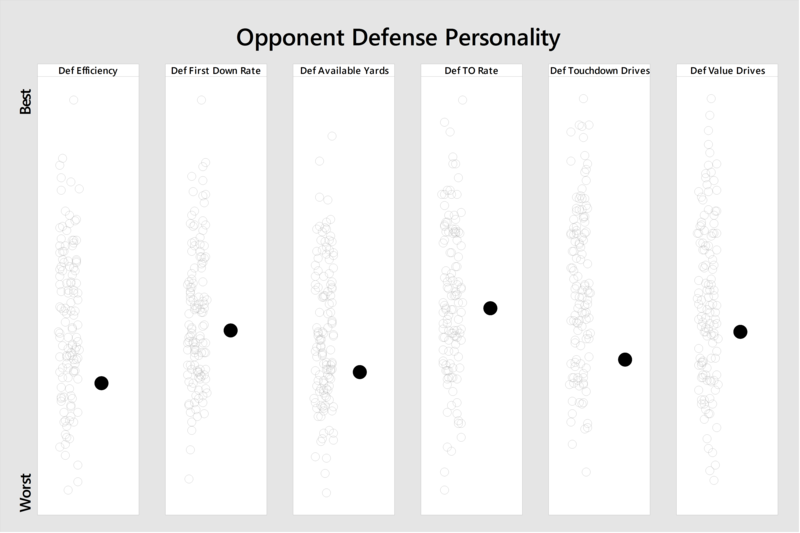 Again, personality-wise the Razorbacks' strengths (avoiding three-and-outs and turnovers) play right into the Hokies' defensive strengths. 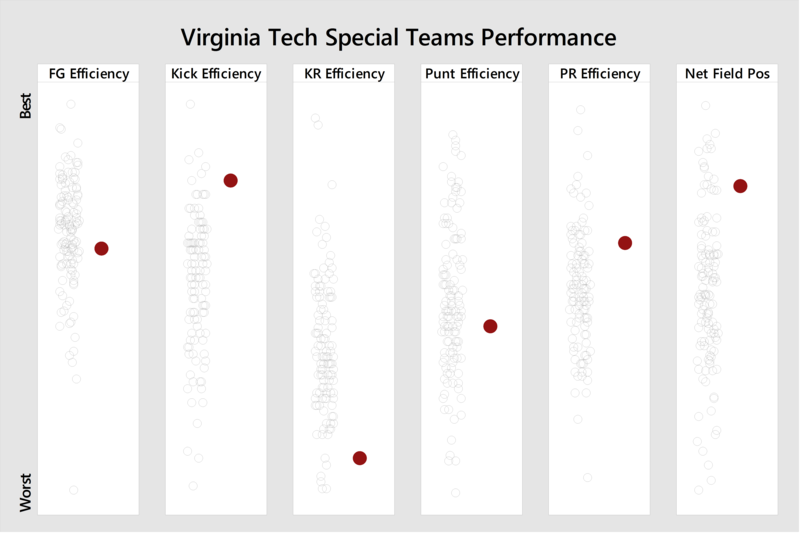 So Tech is good at kickoffs, and bad at returning them. 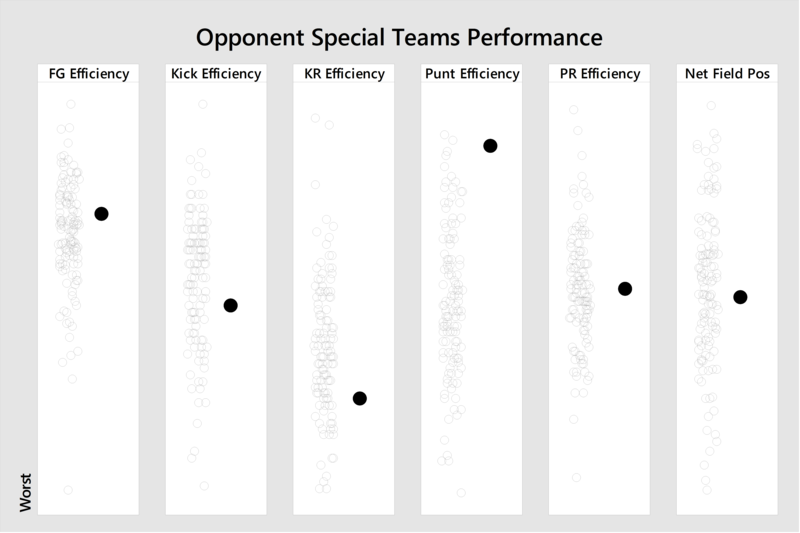 Arkansas features one of the best punting units in the country. RB Rawleigh Williams III has rushed for over 1,300 yards on the season at 5.7 YPC. KR Deon Stewart only averages 20 YPR, but that's just fine because over 78% of Joey Slye's kicks are touchbacks anyway (3rd nationally). This is a good matchup on paper for Virginia Tech's defense, so I'm putting it on the offense to go out and win this game. 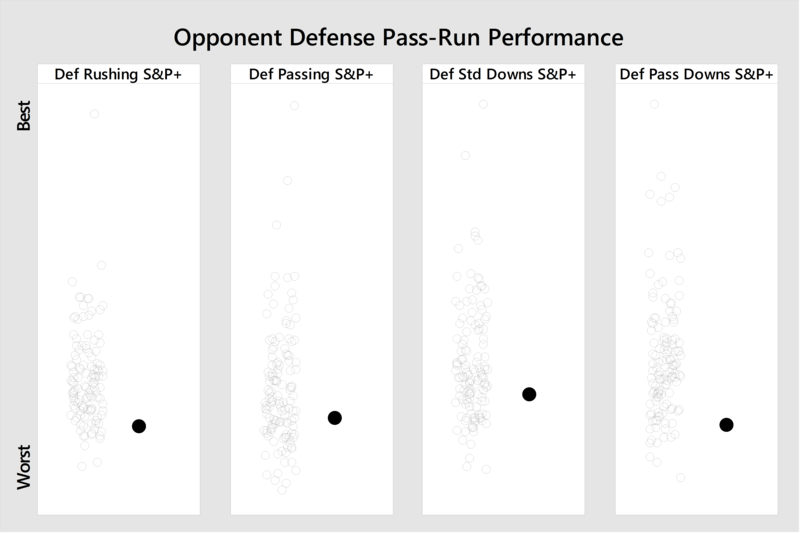 The Arkansas pass defense isn't special, and its rush defense is even worse. If the Hokies are able to find success on the ground — 6 YPC or more — they should win the Belk Bowl easily. I will not value time of possession. 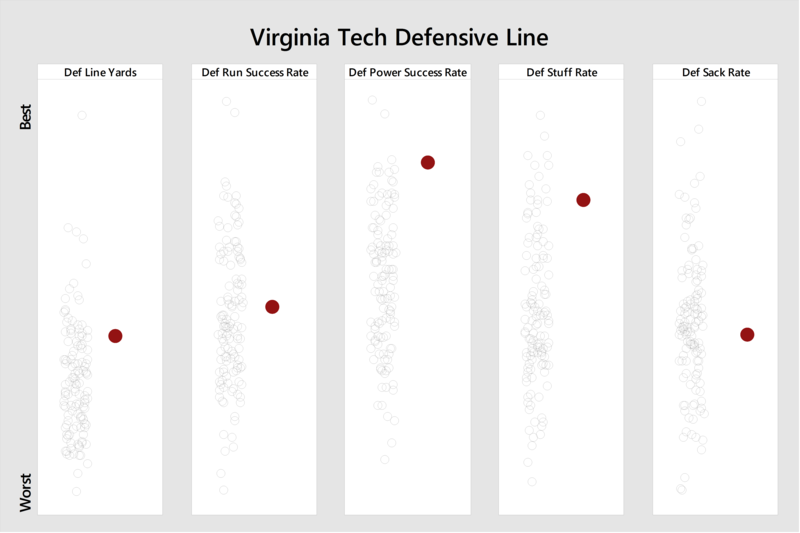 The Hokies enter the game pretty healthy for this time of season, and confidence has to be high in the locker room. 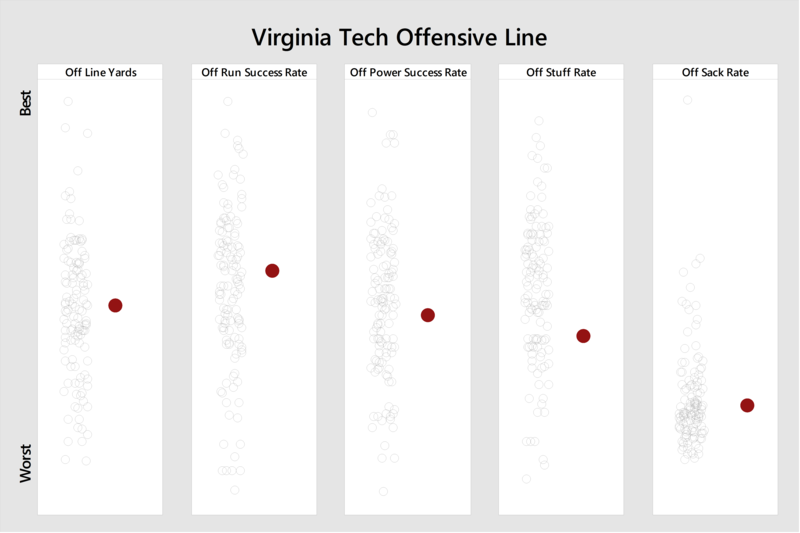 The feeling of the Hokies falling flat against OOC Power 5 competition seems to be gone from Blacksburg, and I think the team will be ready to prove themselves against SEC competition even if it's not an elite team. 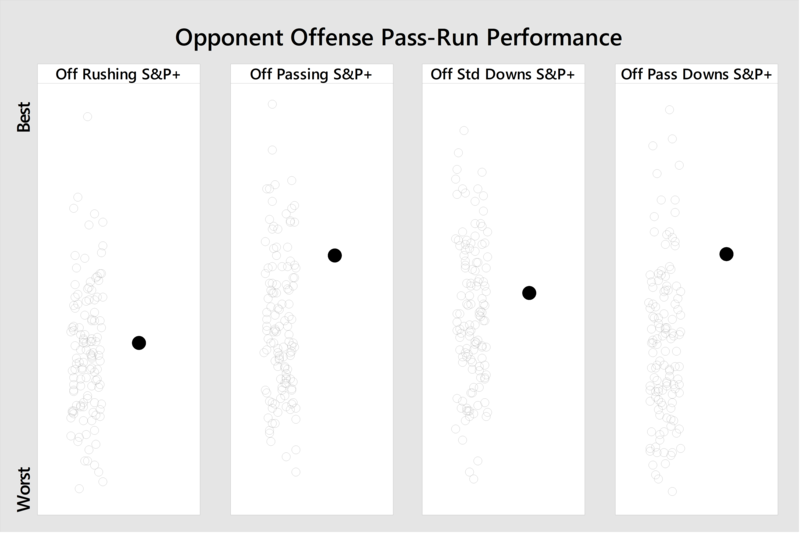 As always a thanks to Football Outsiders, cfbstats.com, and Minitab Statistical Software. 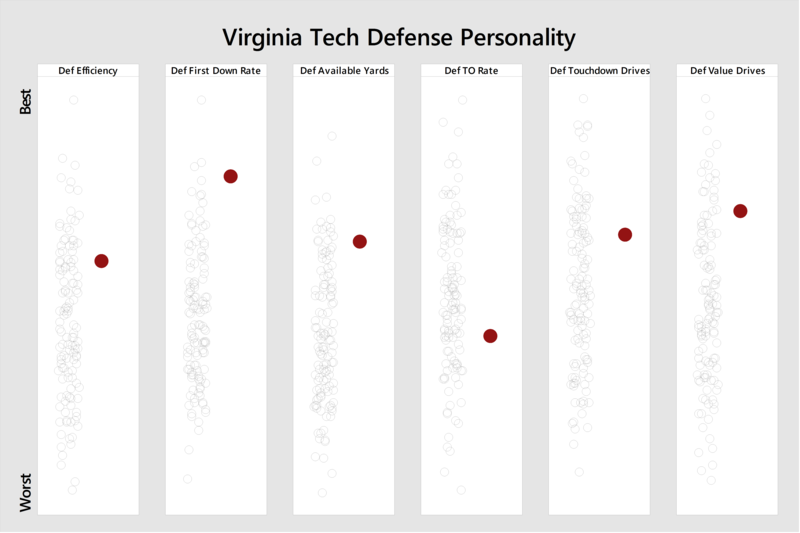 This will be another chance for Virginia Tech to break the "we make bad defenses look good" mental block that years of middling to putrid offense, even dating back through the good years at times helped instill in our impressionable brains. I hope your prediction is right and this is a game that we can be in control of throughout, giving our blood pressure a good rest. 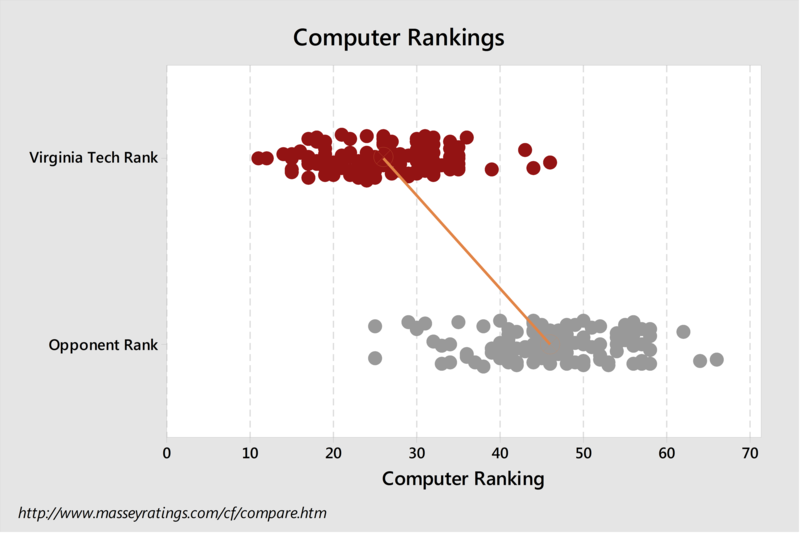 Yes, I think those TOP misses will prove to be outliers. 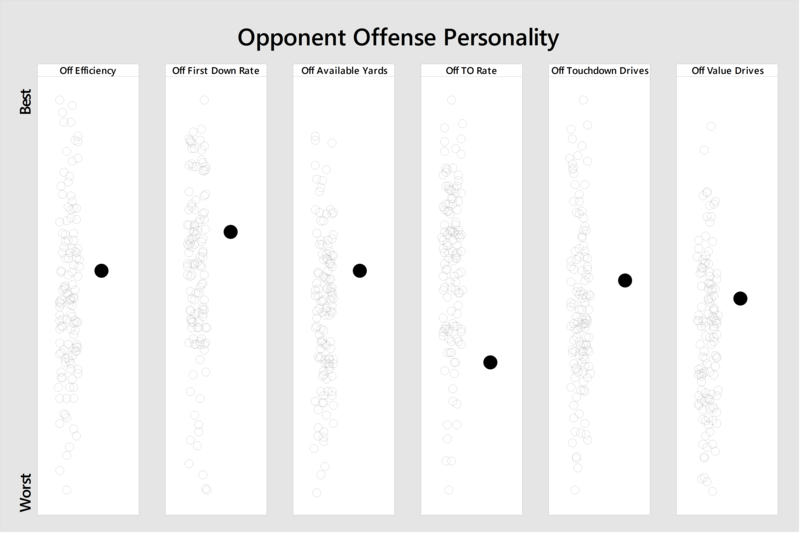 Both offenses are similar to Ole Miss. not sure who this favors more. I don't care what the stats say, i'm def very concerned with our DL / LB play against a power football / possession team that Brett has and always has had at his stops around the country. This will NOT be a blowout as the projection suggests. If we win it'll be a squeaker - i'm thinking 34-31 for the good guys. Else I can see this being a big bad loss for us. 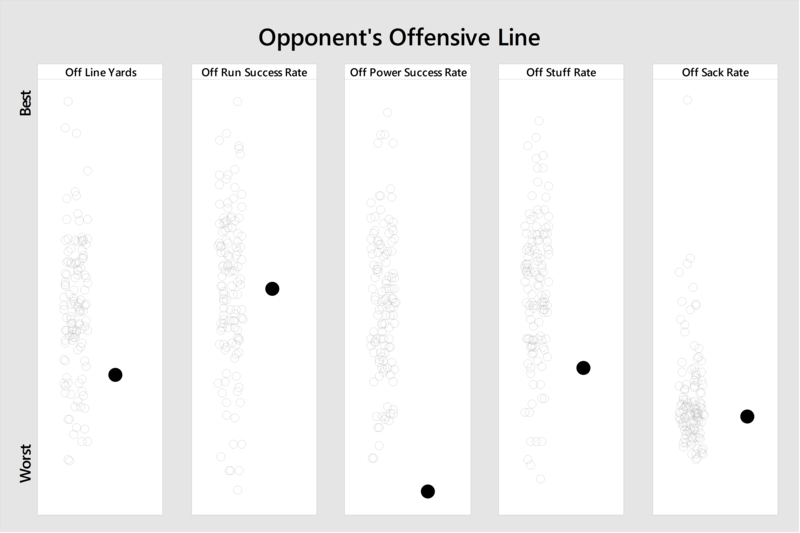 The opponent OL stat above seems to indicate this is not a power run team. That's my point - I don't care what the stats say (regarding how good they are), their identity is that of a power football team, and outside of a BC team that has less talent than my old HS team (insert joke about breaking UMD here), we haven't done well against those traditionally. We honestly were lucky against Pitt this year when Canada stopped doing his bread / butter Conner runs against us for three series. 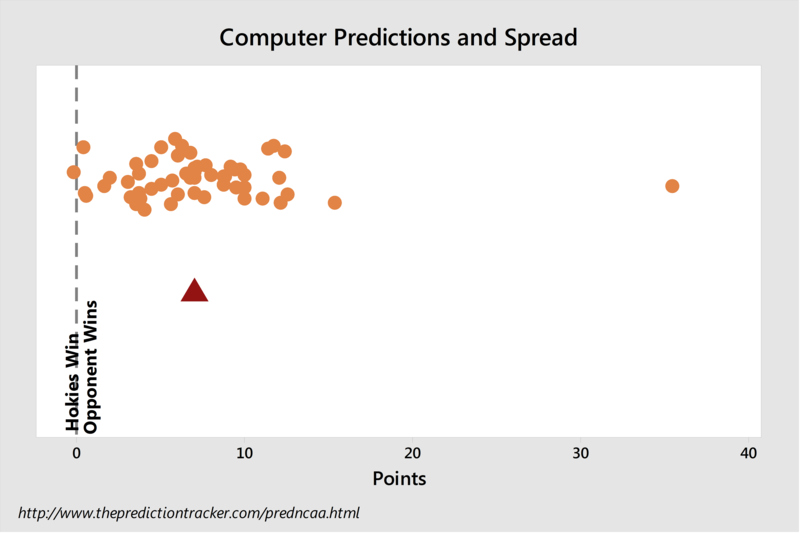 The odds of a 7-point favorite winning are 69.9%. Beating a SEC team is always a good thing. So we've finally achieved the goal of replicating the Temple football program.